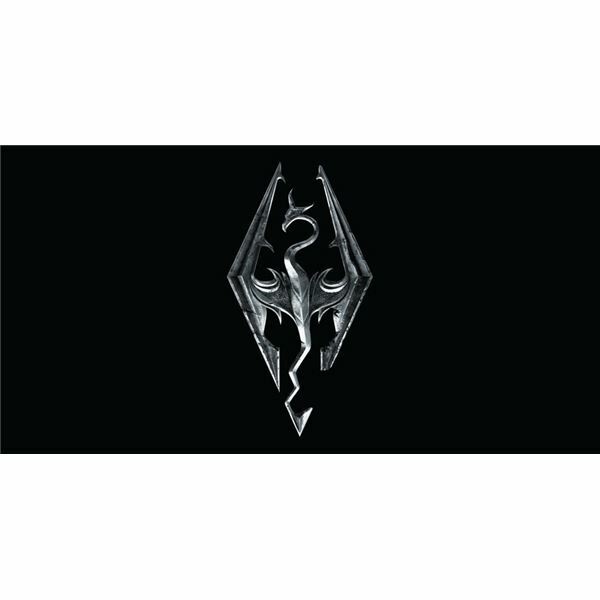 As the release date for Skyrim comes ever closer, more and more details start to surface about Skyrim gameplay. 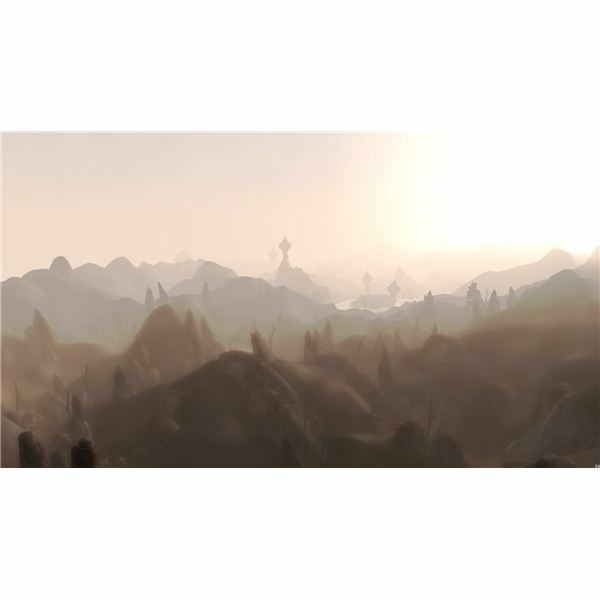 One of the biggest questions asked about the game is: Will it go beyond Morrowind? Morrowind is hailed as one of the greatest fantasy action CRPGs of all time, and for good reason. Looking at the depth presented in the game, it's obvious for all to see that Bethesda went all out with the game. Morrowind turned a nearly bankrupt company into the huge publishing giant it is today with it's in-depth lore, deep and exciting storyline, and over 100 hours of available gameplay. It's for those reasons that Oblivion did not userp Morrowind as the greatest action RPG. Every character in Morrowind had a name, and every cave, bandit hideout, and temple had something unique about it that made them exciting and fresh. For Skyrim to be greater than Morrowind, there are a few things that need to be changed from the Oblivion model that was used previously. Stepping into Morrowind for the first time was an experience. It wasn't pretty, and it wasn't comfortable. Gnarled and twisted trees with unforgiving mountains littered the landscape around your starting port town. The native people scorned you, and anything larger than a rat carried serious risk in combat. It was a harsh and unforgiving land filled with wondrous things like the massive silt strider, or the towering ruins of the Daedric temples.In Oblivion, everything was quaint and beautiful, and mostly the same. The various regions of Cyrodil didn't vary much, and were generally boring to traverse. Finding a new dungeon usually didn't mean much, as they were essentially cookie cutter replicas of each other, making going through them after the first couple hours of the game tedious and unrewarding. Skyrim claims to have greatly increased the amount of people working on the dungeon design and landscape design this time around, stating that using only two people like they did previously worked out terribly. And although Skyrim is painted as a rocky snow-filled wasteland, there are actually snowless forests, as well as plains. Environments are supposedly being very stressed this time around, and it's definitely for the better. All dungeons have been crafted by hand, and there are approximately 250 of them. Character Development: Why Am I Taking No Magic Skills as a Mage? 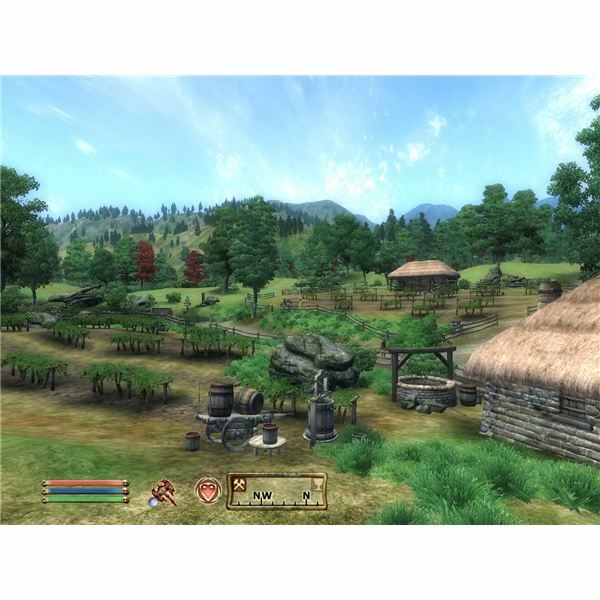 One of the biggest flaws of Oblivion that everyone can agree on, is character development, and scaled worlds. Strange, isn't it, how as you leveled up in Oblivion, the game got harder? You never felt any stronger, you just looked cooler. Oh but wait, everyone down to the Highwaymen are wearing armor just as crazy as you are! In the beginning of Oblivion, there was nothing in the world that could challenge you. And it was only as the hero of the world became stronger that huge beasties came out to fight. Also, forget about being a mage in Oblivion. To do so required setting your skills up in an insane way that made it possible for you to be strong enough to actually fight your enemies in the middle of the game. This ties into the atmosphere of the game as well. In Morrowind, there were places you dared not to go for fear of Golden Twilight's lurking around the corner. Where not having the right potions would render you stuck with 10 Strength after a tussle with a Greater Bonewalker, having to Almsivi Intervention yourself to the nearest temple. 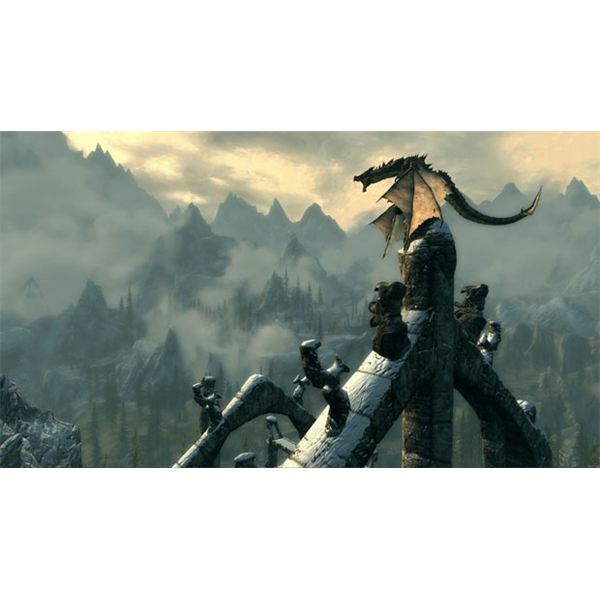 Skyrim plans to use a leveling system similar to Fallout 3, as well as a world scaling system similar to it as well. This essentially gives you the best of both worlds. Certain quests and areas will change respective to your level, but there will always be areas that are a cakewalk for your character, and there will be areas where you will be horribly killed if you don't prepare yourself correctly, or aren't strong enough. Playing Fallout 3, I was never really conscious of the level scaling, because tough enemies would appear, but there would always be more than enough weak ones that I could easily destroy. There were also a lot of places that I didn't dare to step into until I was close to the max level in the game. This sort of world-scaling should work well with Skyrim gameplay. Nothing came close to rivaling the risk and reward factor of loot in Morrowind. If there was a powerful item to be gained, you can be sure that there was going to be a fair amount of risk or luck in finding it. Morrowind was a game where a basket full of invisibility potions and boots of speed would allow you to sprint into a dungeon you could never hope to beat and grab all of the loot. And fantastic loot it would be too, worth thousands of gold pieces, and most likely helpful for your character in some fashion. Oblivion's loot system scaled horribly with your leveling, and went from you finding regular unenchanted armor on one level, and then finding the Amulet of Blades on the next, when all of your skills have already been maxed out. You could never find a weapon that would make you squeal like a little girl and dance around your room in joy. Not much has been said about the loot system in Skyrim at this point. If it ends up being similar to Fallout 3, then you can expect it to be a middle ground between Morrowind and Oblivion. You'll be able to find some outrageous gear, but certain things won't appear until you've gotten to a certain place in the game. Generally the difficulty in getting to an area kept you away from the higher level gear, so I suppose you could sneak your way into endgame gear. Compared to Oblivion, Skyrim should a have a much improved loot system. The problem with creating a game equivalent to Morrowind comes with the fact that games are designed to be easier now. And getting started in Morrowind was incredibly frustrating. Almost everything could kill you, and the Acrobatics and Athletics skills kept you moving like a turtle for the first half of the game. Thankfully these skills have been removed from Skyrim, along with many other skills that were redundant. The perk trees and specializations present in the game offer a much more advanced and personal character development in my opinion, and this is a good thing. Instead of picking a class, you just develop how you play, starting with all your skills at a minimal score and leveling them through use. It's a much more intuitive and enjoyable system with less number crunching. Skyrim should be difficult. You're starting out as a peasant about to die. You should not be any stronger than the average NPC, and trained enemy warriors should have an advantage over you. Difficulty modes would definitely be nice, as long as they work correctly. The Oblivion difficulty slider simply made the game impossible at max, or silly and easy at the lowest. There was no way to balance it in a way that felt like you were getting stronger in the world, but still experienced a challenge.